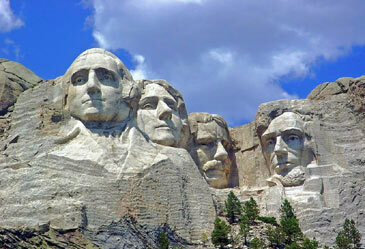 “Where is Caesar?” Try South Dakota, they have a fax machine that works. There is a statue of my father. It may be symbolic but, trust me on this one, where it stands in my heart, this statute is stronger than steal, gold, silver, or bronze. Unlike the statute of the Great One outside the Staples Center, which is awesome, this statue will never be replaced. No pigeon will fly over this piece of art, and rain will never stop the parade. The statue is my father. He is my Rushmore, alongside his partner in crime, and there are no better icons to look up to and try to imitate. His lessons live in my heart, gut, and the very soul that they gave me. His kind spirit has also worked its way into the hearts of who-knows-how-many others on this earth, and I thank the stars above that I am part of the select few that get to call him Dad. The weight of the creation is entirely owed to him. Nobody forced him to be the man that makes us all smile when we bring him up in conversation. He shares kindness to anyone who needs it – whether they want or ask for it is not up for debate. He will go out of his way to make our lives better, and that is the end of the discussion. He has a knack for knowing when a smile precedes a donut. He speaks his own language – a strange combination of Italian, Spanish, and East L.A. His presence is addictive, and everyone understands his generous heart. His statue was sketched during the great depression, but the details were filled out by him. He took the idea of Caesar and really ran with it. He didn’t have to be so amazing. It may come natural to him, but he deserves credit where it is due. He makes the choice each and every day to be him, and for that I am truly blessed. I am grateful for his kind heart, selfless approach to the next minute, and the inspiration he ignites in each and every stranger he talks to as if he has known them his entire life. My blog is not a Hallmark card. But to my 31, let it be known that on this day, I am humbled and grateful for my father. He inspires me when the sun rises, he guides me to make the right decisions, and more than anything he stands tall in my heart as a statue that tells me, no matter what, everything will be okay. I love you Dad. There isn’t a raw material in this universe that could replicate you. Kryptonite isn’t even close. I love you with all my heart, gut, and that same soul that you gave me. Got a little misty in here..great post Dom!